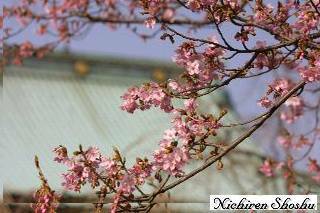 On the two days of March 27 and 28, the Hokkeko Federations Spring General Tozan was held at Taisekiji. 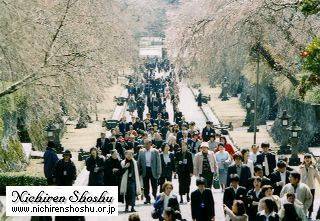 More than 29,800 believers visited the Head Temple for the early spring Tozan to be granted the Gokaihi Ceremony. 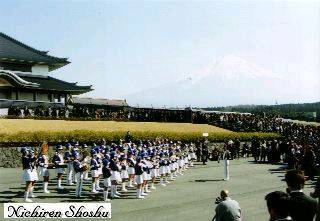 Hokkeko's Fife and Drum Corps gathered from all over Japan to parade from the Tatchu Pathway through the Sanmon Gate to the front of the Kofubo on the second day before and after the 41st Hokkeko Federation's General Meeting was held. 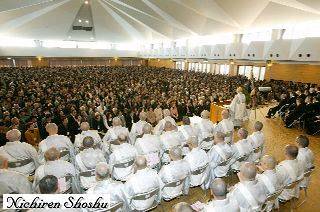 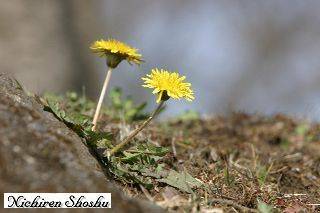 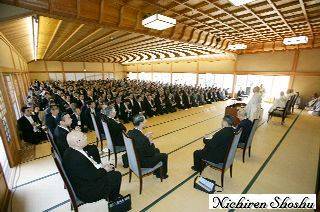 From 3 p.m. on March 27, there was a meeting of the Hokkeko lay-believer leaders at the Great Drawing Room of the Head Temple, with all the lay-believer leaders gathering from each local temple of Nichiren Shoshu across the nation.